When you look at this tree at first glance, you will think it is just a tree. But if you look closer which you will see the zoomed pictures of the tree below, it actually looks like Jesus Christ when He was crucified on the cross of Calvary. Many believe it is natural but it isn't. It was sculptured by a Lebanese poet, Rudy Rahme. This tree can be found in Lebanon hence the popular name... 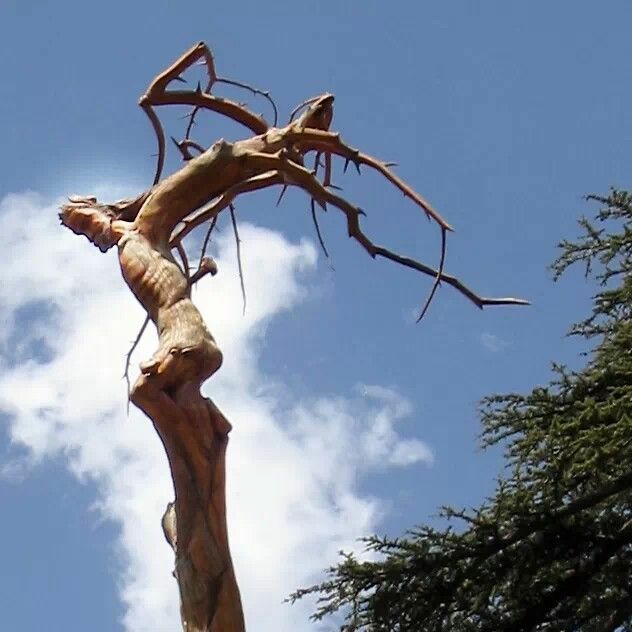 The Jesus tree of Lebanon.